David R. Meyers arrived on the planet Earth just sixteen days before the allies began their drive to free Europe. He studied Mathematics at the University of Cincinnati, receiving a B.A. (with High Honors in Mathematics) and an M.S. in the mid 1960's. Starting in the mid 1960's he began learning about computers. He started by picking up a book "Ten Statement FORTRAN" and learning FORTRAN on a lazy afternoon. He quickly learned BASIC and followed that up with PL/1. He started programming on a system called CALL/OS, where he programmed games such as Blackjack, Horse Race, Star Trek, TicTacToe, Three Dimensional TicTacToe, and others. Mr. Meyers also programmed Mathematical problems on the computer with lead to several published papers (mostly in conjunction with faculty members of the University of Cincinnati). 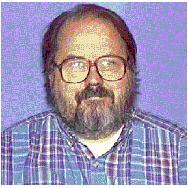 He taught programming and math classes for the Arts and Science, Engineering and Evening Colleges of the UNiversity of Cincinnati. He learned other odd ball languages such as FORMAC (Formula Manipulation Language) and PDEL (Partial Differentiation Language). Through the late !960's and early 1970's he continued programming scientific problems on IBM mainframe computers using OS (Operating System). In the mid 1970's he worked for a while programming business applications on both OS and DOS (now called VSE) systems. These included applications running in CICS (Customer Information Control System). In the later half of the 1970's he moved into the operating system, where he began by supporting CICS (starting with version 1.1.3), ATS, Coursewriter, Wylber, Orvyl, Phoenix, ATS/QL, TSO and other teleprocessing systems. During this time he learned assembler (programming language) and began writing system utility programs. He wrote a series of CICS transactions (in assembler) that would scan the various CICS tables and display information in them for the user. These also would scan tables for broken chains and other problems. During this period he was also involve in supporting IMS (database system) and the COMTEN (doing COMTEN gens). In the late 1970's he was heavily involved in the conversion from OS/VS to OS/MVS. In 1979, he began writing a Tape Utility that would later become TAPEMNGL, the TapeXpert. This began as a simply utility to map tapes and tell the user the file names and formats. It later grew to be able to copy (tapes) and convert tapes from non-MVS formats to MVS formats. In the early 1980's he began writing a TSO command (VIEW) to scan MVS and TSO control blocks and display the information for the user. During the 1980's he became involved in the MVS operating system doing support on MVS, JES2, RACF, VTAM, IMS, CICS, NCP, TCP/IP, FTP, TN3270, JES328X, SMPE, RMF and third party products (including CA/TMS(CA1), TMON, ACF2, IDMS, LOOK, SHOW, Panvalet, PDS, PDStest, VPS, FDR, FDR/ABR, DADS, VTAM Switch, CA/JARS, Syncsort, PLsort among others). He has done a complete installation and initial start up for a RACF system. He has been involved with all levels of MVS from MVS/SP, through MVS/XA,and MVS/ESA all the way to OS/390. In 1987 he formed Cache Valley Software and began marketing TAPEMNGL, the TapeXpert. In 1991 he bought his first PC and while still concentrating in the Mainframe arena he has expanded into the PC, work station and server area. He has learned C, C++, QBasic, some Visual Basic and Visual C for programing on the PC side. He has learned about Novell Netware and Windows NT (both 3.51 and 4.0). He has also has some training in Solaris Network Administration. Most recently he has also been developing Web-sites (including this one).